Last edited by skyeye933; 06-05-2018 at 10:10 AM. Good luck with that. The Nuvision tablets are useless now as they aren't able to update to the latest version of Windows. I bought 3 of the last year for people and each one is a brick now. I sent mine back 4 different times and they would reset the device and it would work great for half a day and then run windows update and be bricked. Nuvision blamed it on Windows and said to just leave it on the version it came with which of course isn't possible with Windows anymore. 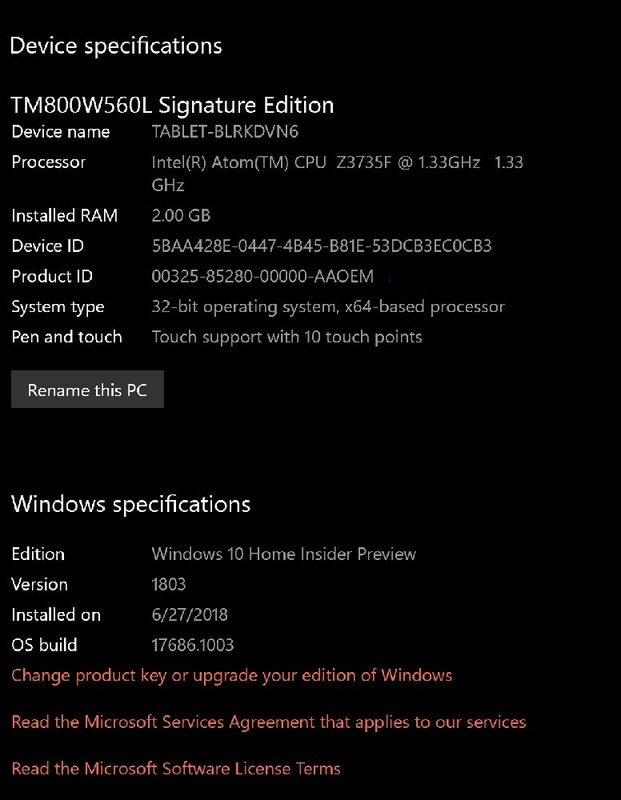 My tm800w560l is updating right now to the latest fast ring release...currently running version 1803. Will a complete system image keep my personal Certificates in Edge and/or Chrome?